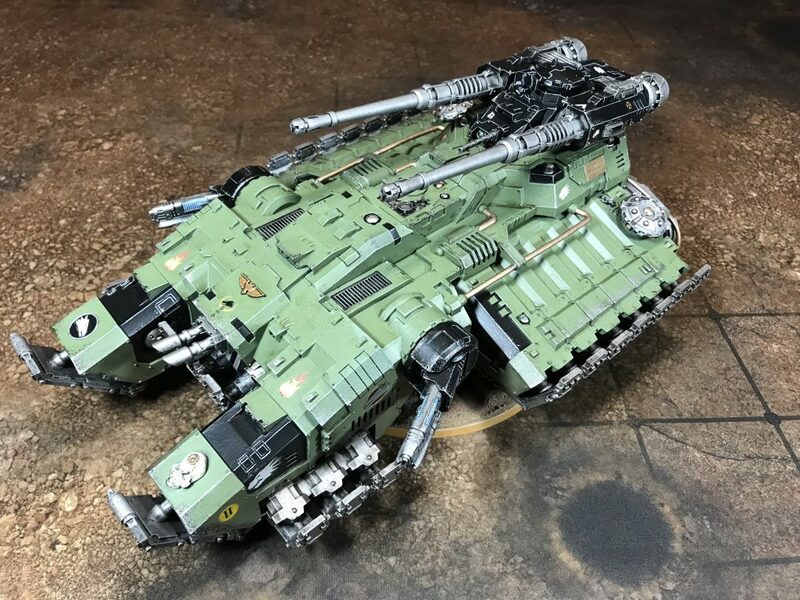 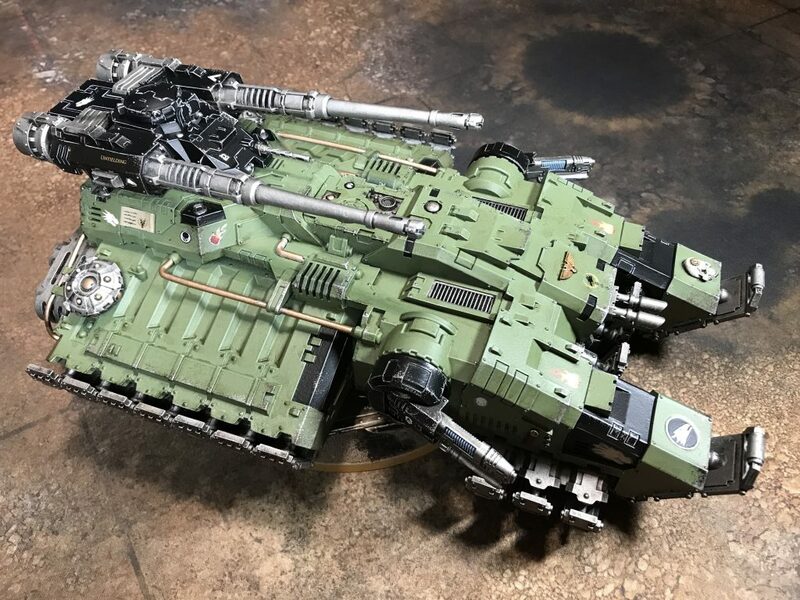 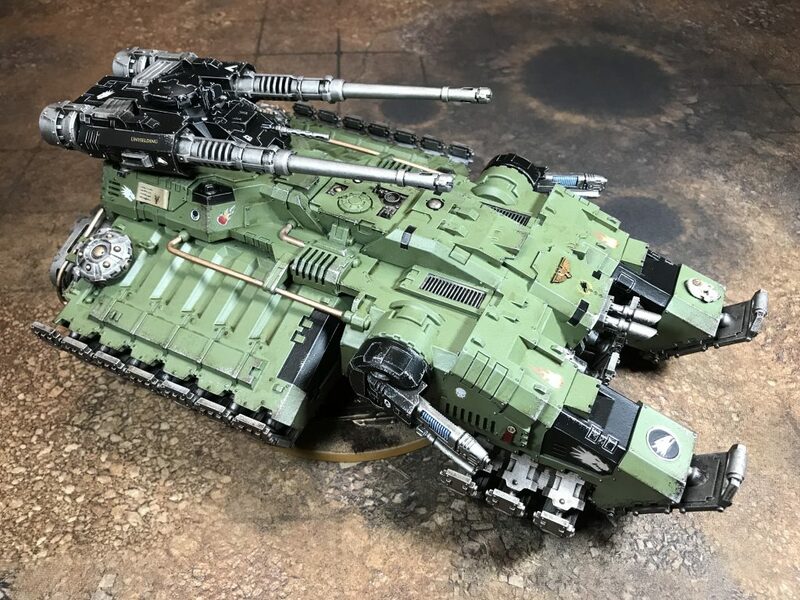 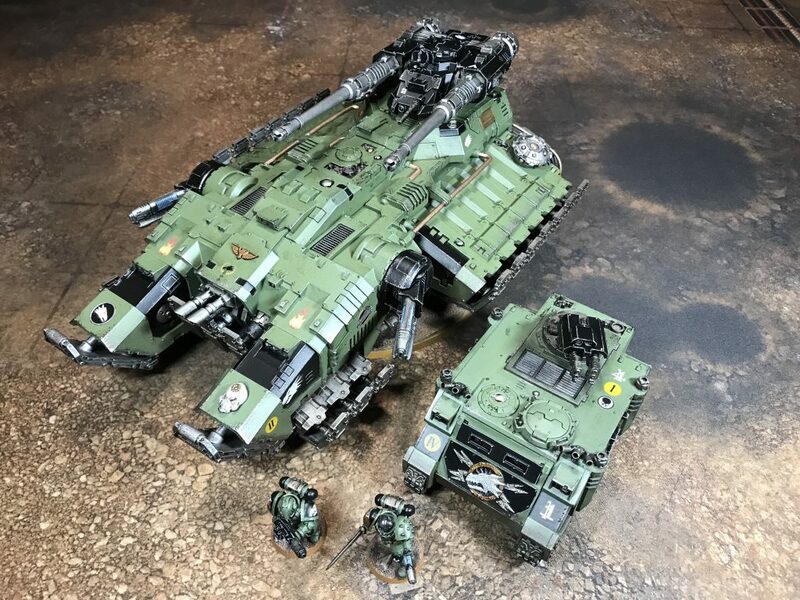 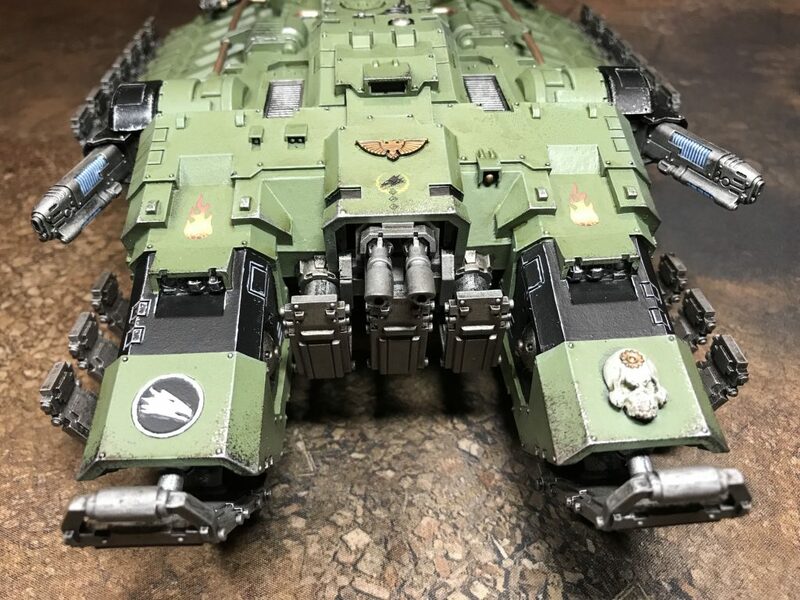 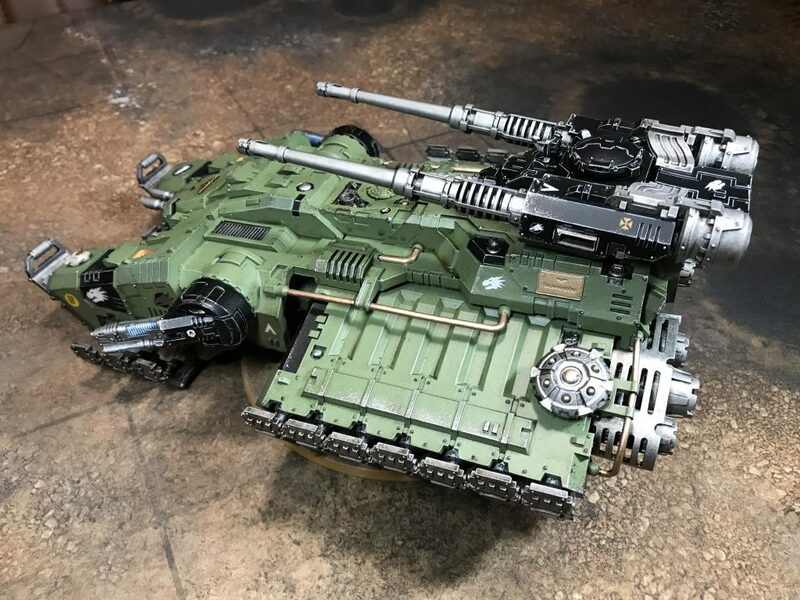 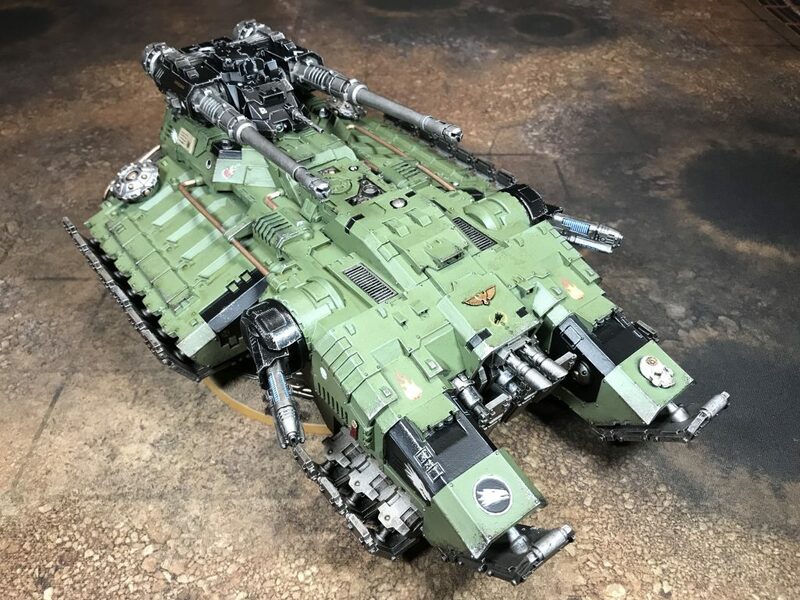 I am not normally a fan of grav-tanks, and when I saw the Astraeus Super-Heavy Tank, I wasn’t immediately taken by it. 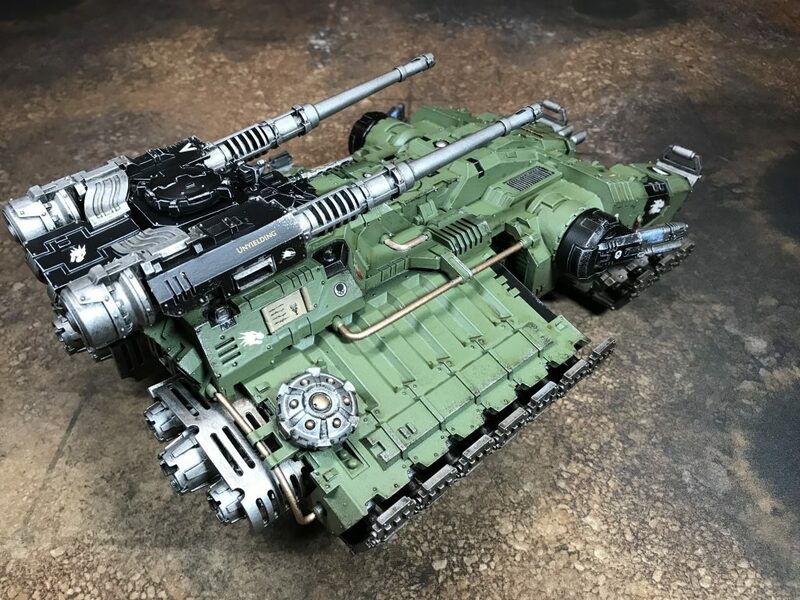 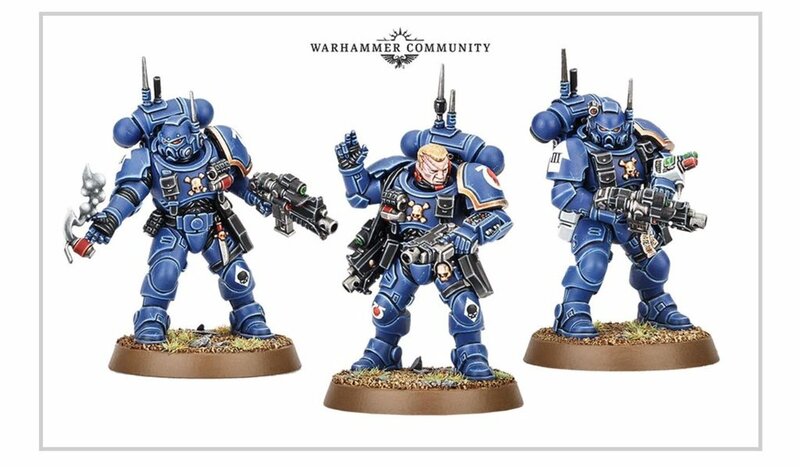 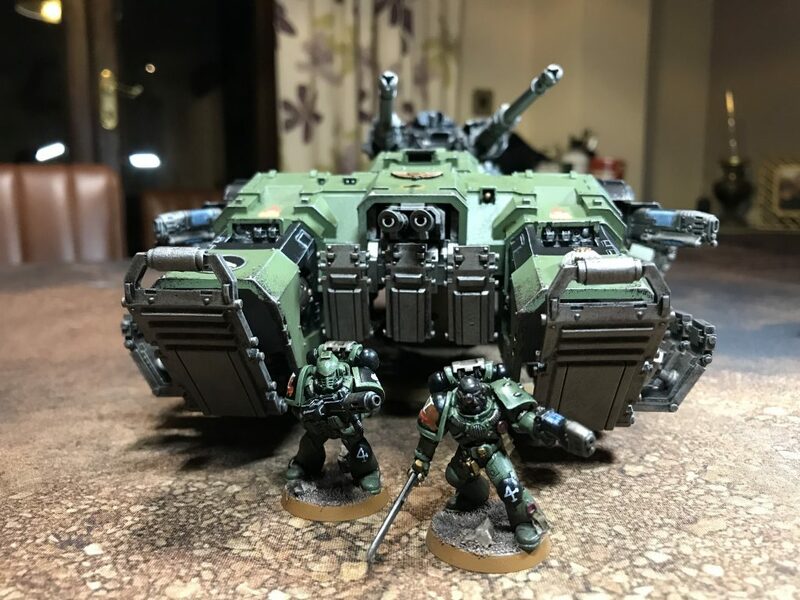 But over time I’ve come to really love the design so I decided that I wanted one for my Salamanders army, and I treated myself to one for Christmas. 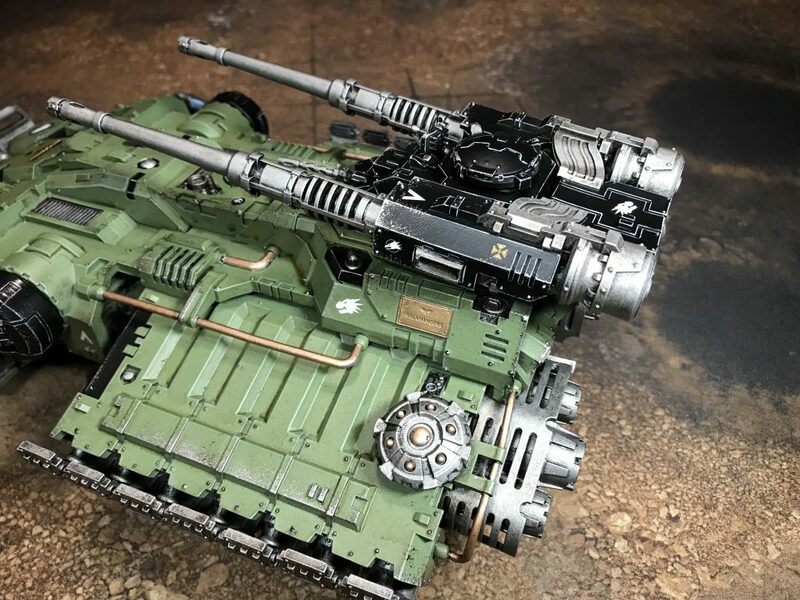 Compared to the other Forge World models I’ve built and painted, this one was a breeze to assemble and needed very little work to get it ready for painting. 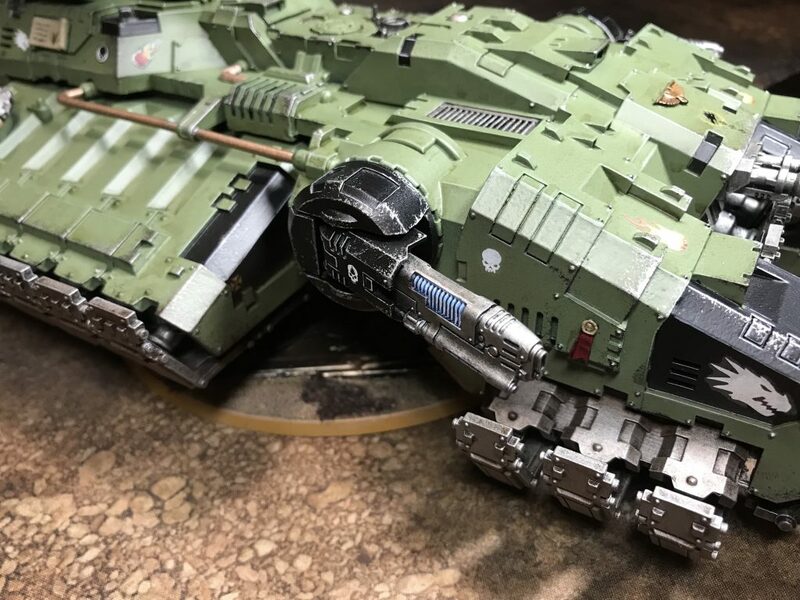 The only pain point is the huge number of grav skids that you have to paint separately and then glue on. 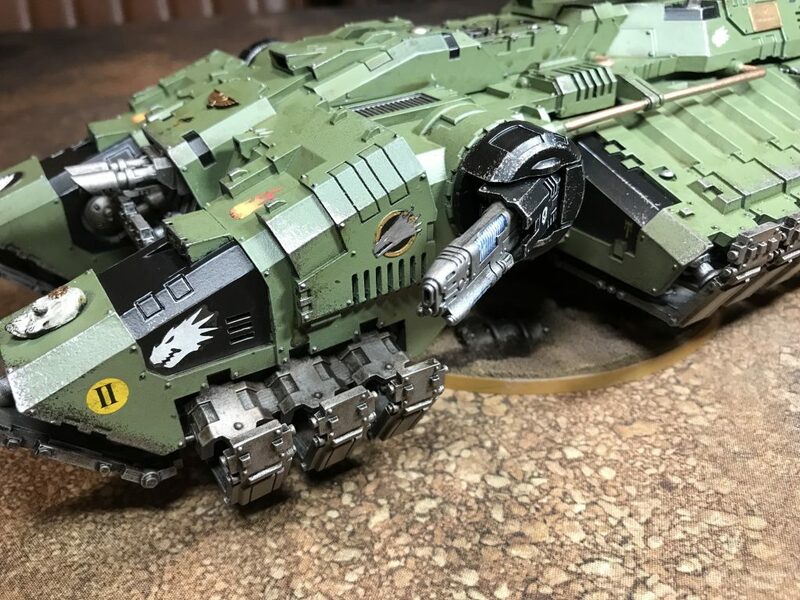 More pics below the fold.